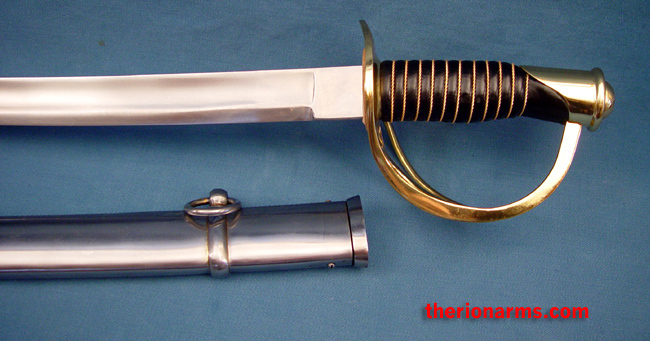 At the outbreak of the American Civil War there were two types of sabers issued to the Federal cavalry: the model 1840 "heavy" and 1860 "light" cavalry sabers. The light version was popular, but the heavy model, dubbed "Old Wrist Breaker" was a superior weapon. 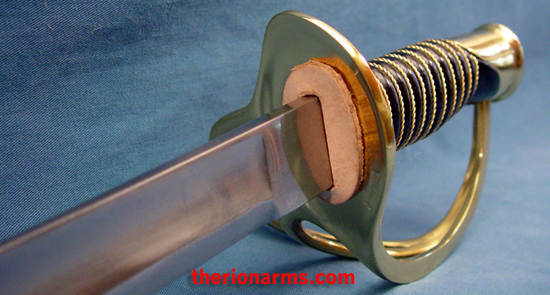 The 36" blade offered big reach advantages over most sabers, and its substantial weight gave it the leverage to easily crush bones and sever limbs and heads with a single blow. 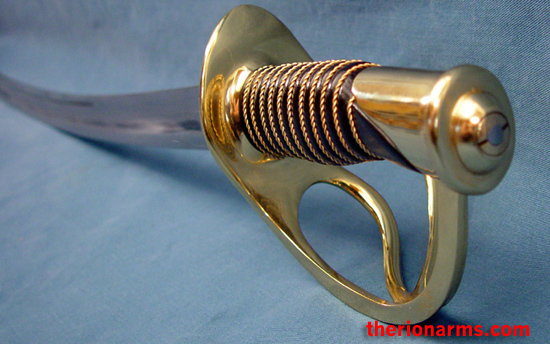 The brass guard has three bars to protect the hand and the grip is wire bound leather capped with a sturdy pommel. 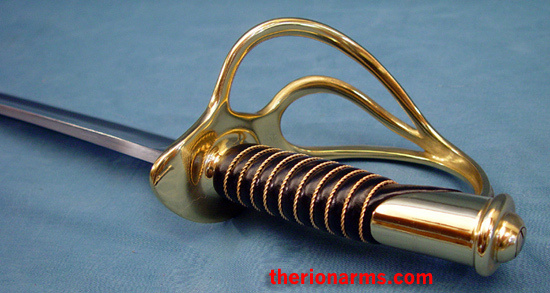 The double ringed heavy steel scabbard can easily be attached to saddle or belt. 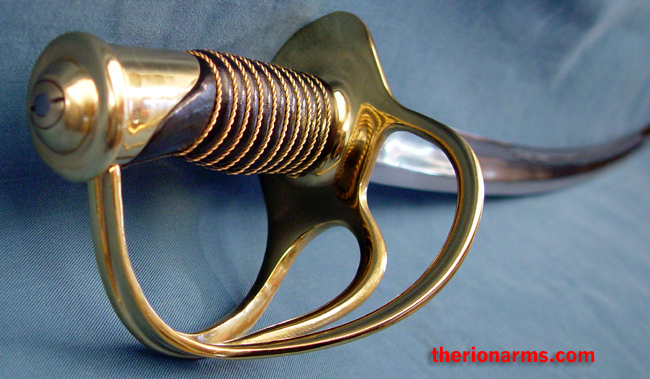 The blade is made from 1050 high carbon steel with a hard spring temper and has passed the British Proof Test. It is edged for 24" and razor sharp over the last 12". 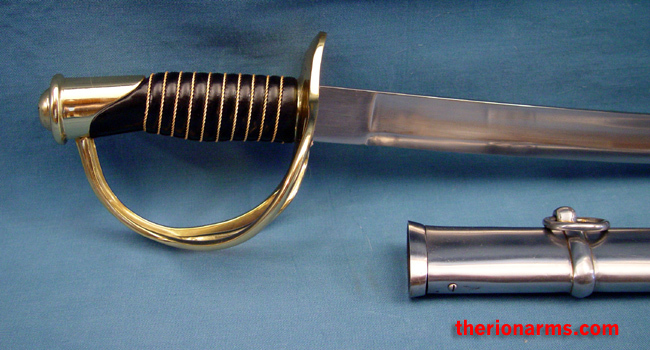 You will note that Cold Steel, the maker of this sword, calls it a Model 1860 heavy cavalry saber - they're wrong, there was no such thing. interior grip length: 4 1/2"
guard: 4" x 3 1/2" x 5"